As hair excellence pioneer, hair extensions are a standout amongst the most darling items for women. Making up with this pattern at the point of conveying different potential outcomes to claim delightful hairs, we have MCSARA. We are a standout amongst other quality hair providers throughout the world. With the perpetual interests to give all customers the unending shot, we make the best approach to be more delightful and let them being their real nature. Our hair extensions products are extraordinary route for you to step nearer to your fantasy looks. 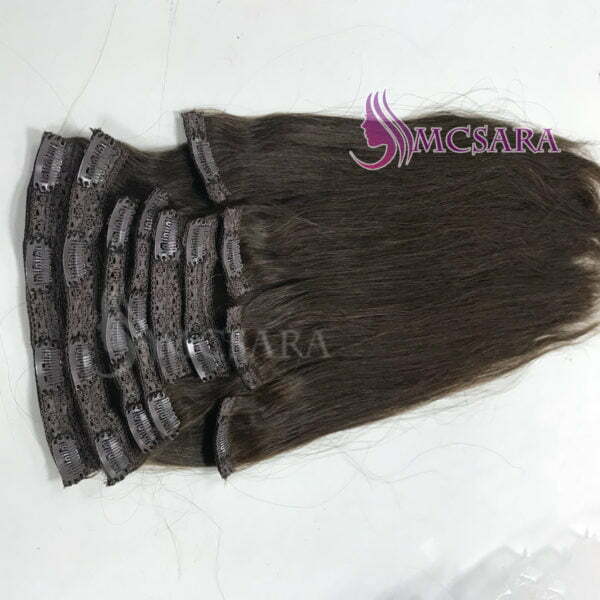 28 inches clip in hair extensions brown color are originated from 100% Vietnamese women hair. They generally wash the hair in natural way. Along these lines, our hairs are unique Virgin without containing any synthetic substances. You can feel the shinning and smooth vibe just by taking a glance at them. The hair extensions are 100% natural Remy hair that all cuties are in similar lying ways; so that there will be no tangle or shedding while using our hairs. 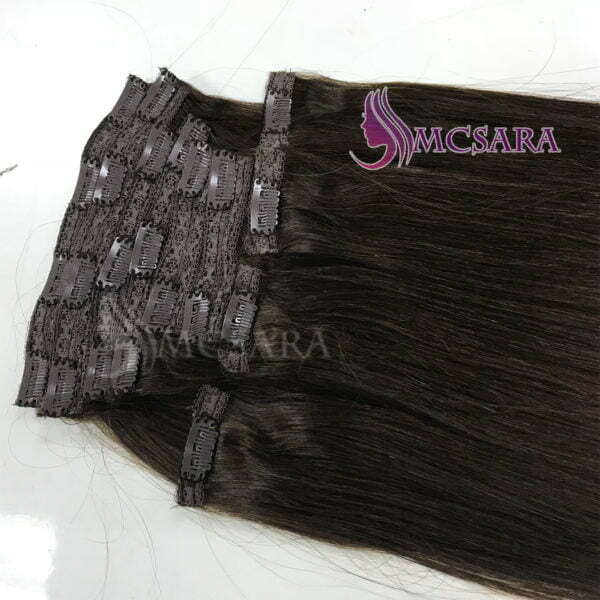 In addition, we MCSARA hair extensions likewise give a lot of sorts as tip hair extensions, clip in, bulk hair extensions and so on. They are for the most part accessible in colossal scope of colors and textures. Among all, clip in hair extensions are getting numerous considerations from ladies. With our weft hair extensions you will take a level up to accomplish your new appealing looks. As natural sources of hair, you can style a considerable measure of wonderful hairs. They are simple to shape with flat iron or wavy tools and also just like your own hair. Our clip-in hair extensions are orderable in 10 inch to 32 inch clip in hair extensions. You can choose openly as your own needs. Having high form bounce or great stunning long length will be simple as ever. With our characteristic starting point clip in hair extensions, you will have pleasant time wearing on numerous perfect hairstyles and furthermore still get a chance to keep your common hair from heat or synthetic compounds. We make the 28 inch clip in by joining the clips in the weft hair. To apply these clips, you can do it by yourself or have treating by professor hairdresser. You will achieve another look that no one can realize you are wearing hair extensions. The clips in hair extensions are the most straightforward and extraordinary approaches to give your hair a superior treat. Just make after two or three steps you can have a remarkable hair looks. These expansions will open up your methods for having fabulous hairs. These hairs are from absolutely human hair with the objective that fastens your way to style. They are similarly simple to store or give treatment as your own hair. You will accomplish a boundless way to change in superb engaging hairs and achieve your dream length. At the same time, you can put on many astonishing brilliant looks.